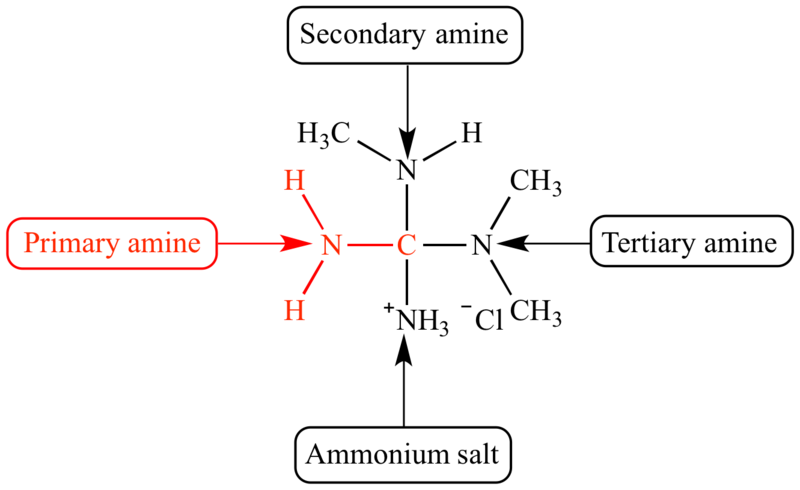 Primary amine (1o amine): An amine in which the amino group is directly bonded to one carbon of any hybridization which cannot be a carbonyl group carbon. General primary amine molecular structure. X = any atom but carbon; usually hydrogen. C = any carbon group except carbonyl.